Okay. Stick with us on this. We know that flipping and fluffing your sofa cushions doesn’t top the list of things you’re excited to do. But when you invest in a piece of furniture from us, you deserve to know what you should do to keep it looking amazing. And having seen the best and worst of the upholstery cushions out there, we’re here to tell you: if you take good care of them, they’ll look better, last longer and be more comfortable. Things we all want, right? We’ve put together three quick videos to show you proper care instructions. Our videos are organized by cushion type but, regardless of what kind you have, the basic idea is the same. Fluff them up. Move them around. Do it often. Your sofa will thank you. Cushions made with foam and polyester hold their shape like a champ, but once they get worn down it’s harder to restore their appearance. A regular flip, fluff and rotate will help everything wear better and last longer. Win! 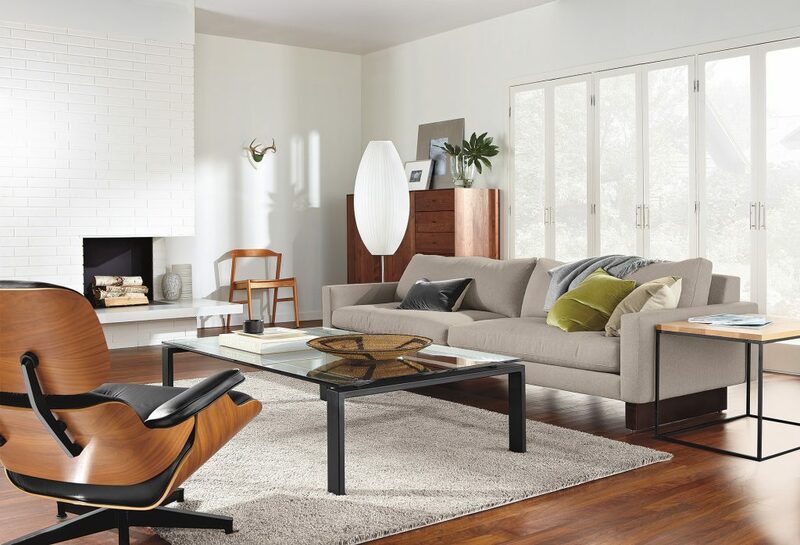 Nothing says clean and modern like a tight, bench-seat sofa. We love how tight cushions look and taking care of them couldn’t be easier. Just smooth and tuck. And maybe switch up which spot you sit in for your TV marathons (no judgment, we do it too). This little sofa facelift also works for sofas with a loose bench cushion, like on our Hayes sofa.